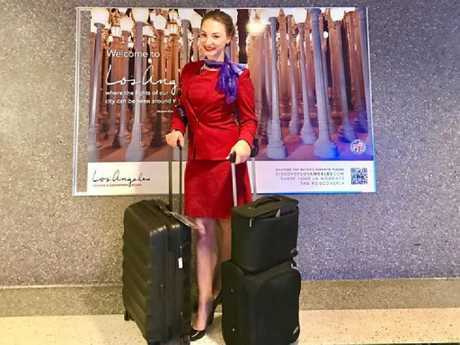 There's good reason for it - flight attendants know how to cope with the tough conditions of the aircraft cabin, and most of us don't. There's less than 20 per cent humidity in an aircraft cabin, which is less than the humidity level in some deserts, let alone what we're used to at home. And those conditions zap all the moisture from our skin, leaving us feeling haggard and puffy - not the best way to start a holiday. 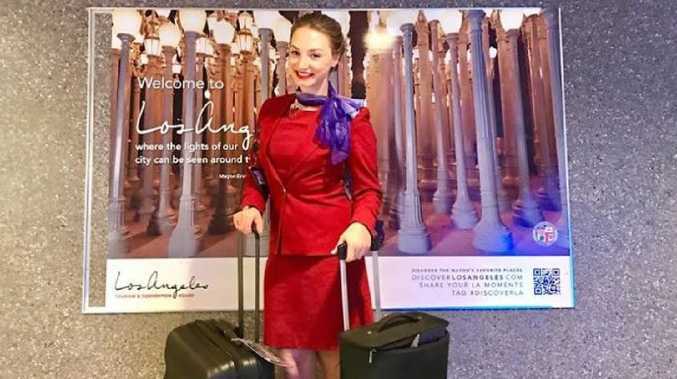 Virgin Australia flight attendant Lauren Gaynor knows all about it - she flies the airline's long Sydney-Los Angeles services. The products she uses are reasonably affordable and easy to find - and she absolutely swears by them. "After six years in the skies, I've curated a skincare ritual during flight and beyond to combat the potential atmospheric consequences," Ms Gaynor told news.com.au. Here's what she'll never board a flight without. "I've always subscribed to the theory that cleansers are only in contact with your skin for a minimal amount of time, so I prefer to keep this step relatively simple and inexpensive," she said. "My favourite method of makeup removal is Face Halo. It's a microfibre pad that lasts up to 300 washes, so it's as convenient as a makeup wipe whilst being much more sustainable. "All you need is water. It's an excellent option for travelling too as it takes up minimal space." 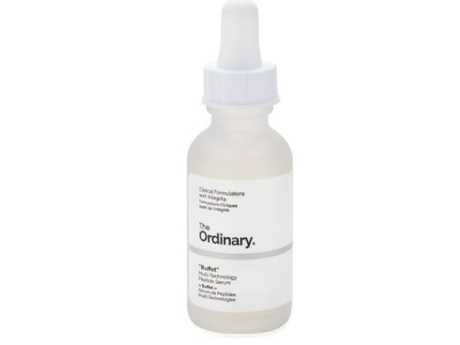 The serum Ms Gaynor is "obsessed" with is Buffet by cult beauty brand The Ordinary. "Not only is this serum very affordable, it also contains hyaluronic and amino acids to hydrate and nourish your skin," she said. "I slather this on during our crew rest period and wake up looking dewy and rested - even when I'm not." Ms Gaynor said she liked to use a rich moisturiser to lock in the serum and hasn't found anything better than Jurlique Moisture Replenishing Day Cream. "This is designed to protect your skin from the everyday environment. It feels luxurious and has a slight honey scent that I adore," she said. "A little goes a long way. Plus it's nice to support a brand that began on a farm in South Australia." Ms Gaynor said she also generously spritzed her face with a face mist during the flight - specifically, Jurlique Rosewater Balancing Mist. "[It] smells like Monet's garden and wakes up full, tired skin," she said. Pop a sheet mask or two in your toiletries bag and your skin will love you for it. "If I'm feeling like my skin needs a little extra something post-flight, after removing my make up I'll apply a sheet mask," she said. 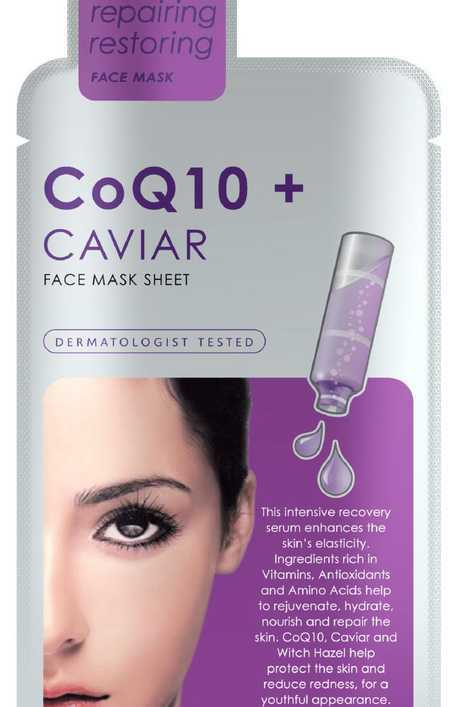 "Skin Republic COQ10 + Caviar is bursting with ingredients to intensely nourish and replenish any lost moisture." "My most beloved post-flight ritual is giving my body a good scrub with Frank Body Coffee Scrub," she said. "The coffee grounds are exfoliating and invigorating, they get your blood pumping while also making you feel silky smooth. Plus each of the Frank blends contain oils and vitamins to restore softness, hydration and glow." It might sound boring, but there's one more way to ensure you look and feel fresh after a flight - and that is to watch what you drink. "Drink plenty of water during flight and try to limit coffee, tea and alcohol," Ms Gaynor said. "Yes, those are some of life's greatest pleasures but perhaps best saved for when you're back on solid ground. Just a thought."